Everest Panoramic Trek is one of the best and shortest treks of Everest region which can be done within 7 days. 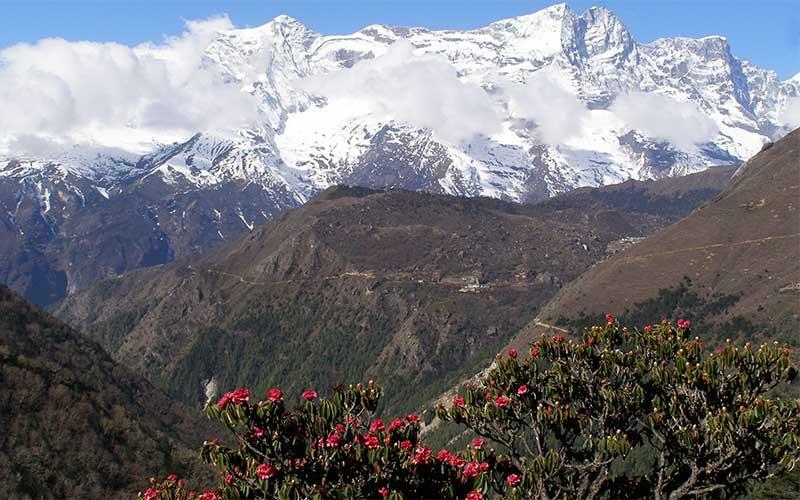 You can see the beautiful scenery of Everest region along with the unique Sherpa culture and different sorts of flora and fauna. It starts from Lukla and ends at the same place. The outstanding mountain vista of the entire Everest region along with Mt. Everest, the unique Sherpa culture and old Buddhist monasteries are the main attractions of this trek. Phakding is a small village located at the bank of the Dhudkosi River where we can get sufficient loadges for staying. From here the trail continues to Chhumawa with the beautiful scenery of waterfalls along with the magnificent view of Thamserku himal then crosses a long expansion bridge and gets at Monju and Jorsale where we stop for Lunch. After that we cross thrice the Dudhkosi River and from the last expansion brides the trails ascend till Namche bazaar around 3 hours. If the weather is clear, you can see the Mt.Everest as well while ascending. It takes around 7 hours from Phakding to Namche Bazaar. Day 03: At Namche for acclimatization. From Namche Bazaar, the trail gently climbs up with the beautiful scenery of Namche Bazaar, Amadamlam, Kongde Himal and Thamserku along with different sorts of flora and fauna. As you get Syangbuche, you will see more outstanding view of Everest region. From here, we continue our journey to Khumjung which takes around ¾ hours and stay overnight there at lodge. After having spent a wonderful night at Khumjung, we slowly visit the Everest view point hotel. It is one of the best hotels of Everest region to observe the scenic view of Mt. Everest. It was built by Japanese in their full sponshorship. From here we slowly descend domn to Syangbuche which is called the highest airport of the world. We continue our journey from here to Namche Bazaar and stay overnight there at lodge.